On Oct. 1, the student group, Cards United Against Sweatshops (CUAS), met for the second time with U of L administrators, COO/CFO Harlan Sands and Dean of Students and Vice Provost for Student Affairs, Michael Mardis to discuss raising the wage of all contract workers to a minimum of $10.10 an hour. For the state of Kentucky, a recent executive order by Governor Steve Beshear increased wages for all state agency contract workers, but universities are exempt from this. U of L is currently seeking proposal bids for a new food service contract, and CUAS believes that the university has the ability apply a wage increase within the terms of the Request for Proposal. Sands and Mardis stated that they needed more time to consider methods of implementing the proposed wage increases. Because of this, CUAS feels that the university is trying to stall them since the bids for the food service contract are due on Oct. 28. Sands estimated that the total cost to raise the wage of all contract workers would be $350,000. The meeting was also only held between students and university administration. Sands responded by stating that he did not “refuse to allow community members to participate”, but the students brought an attorney and she was asked not to participate. He also states that he feels the meeting was productive and that they are making good progress towards addressing CUAS’s concerns. 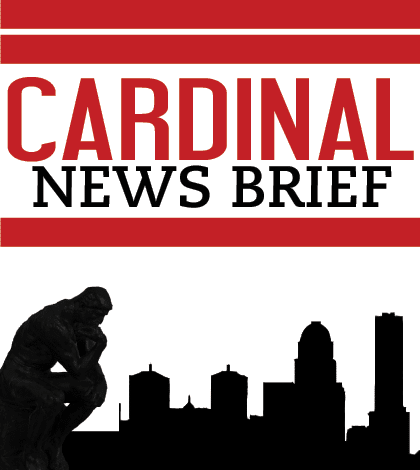 “Our next step is to continue our advocacy by educating the campus and larger community about this pressing need and pressure the administration to do the right thing in caring for our cardinal family,” says Hall. According to the press release, CUAS members have vowed to move forward with this campaign and engage in future direct actions if necessary until the University of Louisville administrators agree to place a clause in all future contracts that raise the wage of contract workers without placing the burden of that cost back upon the student population.